I don’t really know what to say about this book? 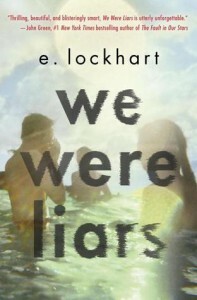 As some of you know, I’m a huge fan of The Disreputable History of Frankie Landau-Banks, one of Lockhart’s other novels, but I have to say that We Were Liars just didn’t meet my expectations at all. 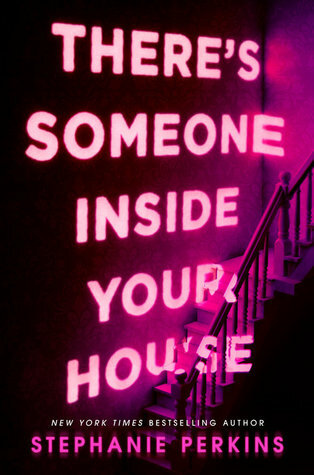 Given the rather excellent blurb, I was looking forward to a story in the vein of The Secret History, with terrible secrets waiting to be revealed, calculated plans and characters with no moral compasses; I wanted to read about girls being dangerous and wonderful. Alas. Tbh the only reason We Were Liars has three stars rather than the two I was leaning towards is because the prose is so good it deserves its own star. If nothing else, the writing is consistently fantastic throughout. The characters, however. To borrow a phrase from Dee, ‘oh dear lord’. I just don’t have the patience or sympathy for stories for put-upon poor little rich kids, and since the crux of the novel depends almost entirely upon your sympathy for this group of characters, it just fell flat for me. I found it difficult to care about any of the four Liars and found myself getting incredibly irritated by the token Indian guy because the colour of his skin is literally the most important thing about him. Cadence, our main character, is so one-note; she’s not nearly a dynamic enough character to carry the story, I feel. All these potentially interesting things are happening with her – she has amnesia! Ooh! She gives everything she owns away! She has faint memories that don’t make sense! I was so intrigued to find out what happened but I figured out the twist pretty early on so when the reveal happened I was just ‘eh’. I wanted more for a story that promised so much and just didn’t get it. I don’t understand the point of the reveals because it just ends up being another story about how mistakes were made and how repentant the characters are. Literally every character in this book is a terrible person but can’t seem to accept that?? I mean if you’re going to do awful things at least commit to it *rolls eyes* It’s not interesting to read about regret after the fact, not when this story could have taken far more intriguing routes. What a boring let down tbh. I’m sure this book will have its fans; it seems to have made huge waves across the YA community but it did nothing for me, I’m afraid. If Lockhart had turned this in for homework I would have sent it back with a B+ and a comment that said it was okay but that she could have done so much better. Ohhhh, I was quite intrigued by the premise of this one (because I like to read about liars/secrets), but I think I’m gonna transfer We Were Liars to my ‘maybe’ shelf for now. Thanks for the honest review! Everyone who’s read this book seems to love it but I’m in the same boat as you: I don’t really get it at all. I feel like maybe I’m missing something because nothing in this book for me screamed out to me. I did love the prose a lot though. Sorry you didn’t enjoy this more! I agree with not being able to connect with the characters, it was one of the things that definitely didn’t work for me but I just found the writing to be so amazing that it made up for my lack of emotional connection. Usually if I can’t feel connected I can’t like the book as much but this was the exception to the rule. So agreed with everything you said. The characters were terrible and sooo bland. I feel like Lockhart spent so much time creating the mystery and focusing on her writing that she neglected to develop the characters, which is probably because it could have ruined the twist, but still. I hate it when books have badly written characters. I loved the twist though, because I had not seen it coming AT ALL. And yes, the writing is fantastic. I need to read the Frankie book. I have it.